I used this baby quilt as a test piece for another quilt I am making that has higher stakes (it has a whole lot more work in the piecing). The sun and falling sun rays in this are pieced as one whole piece and then bound using a single fold bias. I’ve then appliquéd the entire piece to a solid backing on the inside edge of the binding, leaving the quarter inch of bound edging as a bit of texture. 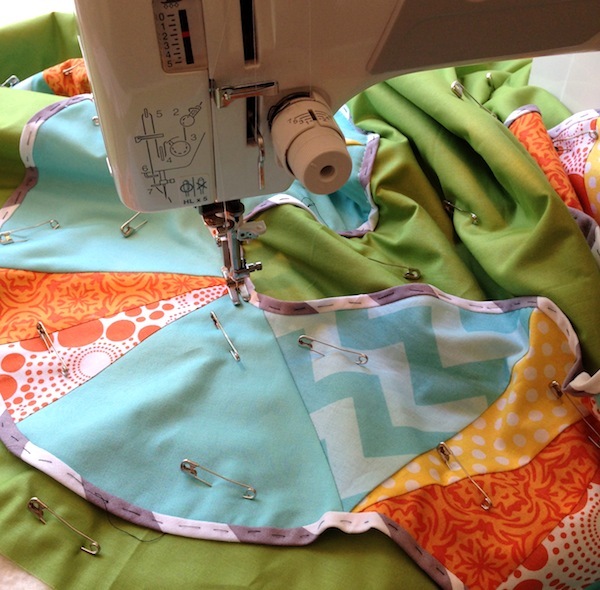 I really like this quilting pattern but I have to say it is time consuming. 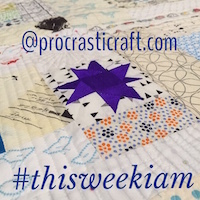 As I had left the quilting until about four hours before the submission deadline, I needed to get a wriggle on and so changed my quilting pattern about a third the way in. SO WISH I HADN’T DONE THAT!!! I’m really disappointed with the finish in the end but hey, it’s finished and a kid is going to chuck all over it, so I’m not going to unpick for longer than it took me to stitch it in the first place. LOVE the centre of this sun. I’m going to do some more circles and go round and round and round with my machine like this again. LOVED doing it and LOVE the effect. 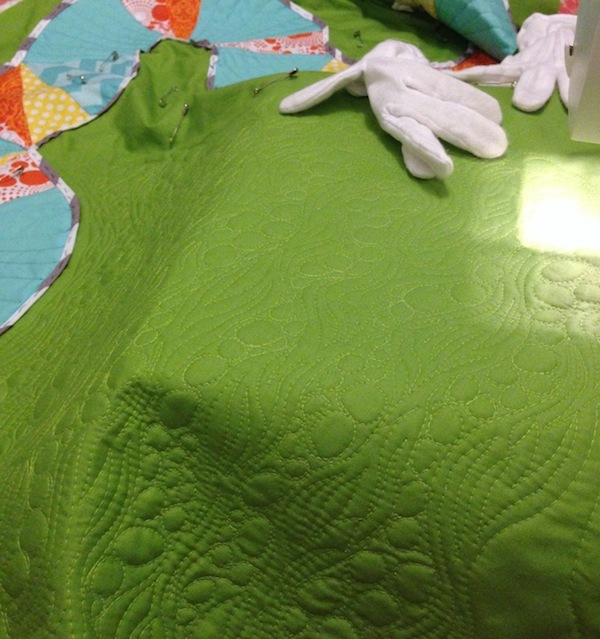 Also, happy with the different Riley Blake Fabrics used as I used a different quilting pattern in each fabric wedge. That was fun! I know if I’d left myself more time I’d have been more pleased with the quilting however I had lots of fun thinking about the design and quilting the wedges as well as learning a new technique with that binding edge and to me, it definitely conveys the Summer heatwave during which it was made. Overall, a positive experience! 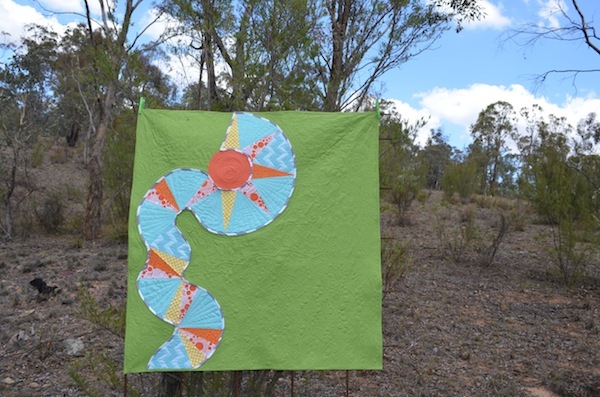 The quilt :: 34″ x 41″, wedges pieced then bound and appliquéd to a solid background, variety of Riley Blake quilting cotton (supplied by Riley Blake through the MQG) with Free Spirit Designer Solid in Bright Green as the background. This entry was posted in challenge quilt, modern quilt guild, quilt, quilted, quilting, summer and tagged MQG, Riley Blake Challenge on March 29, 2014 by procrasticraft. 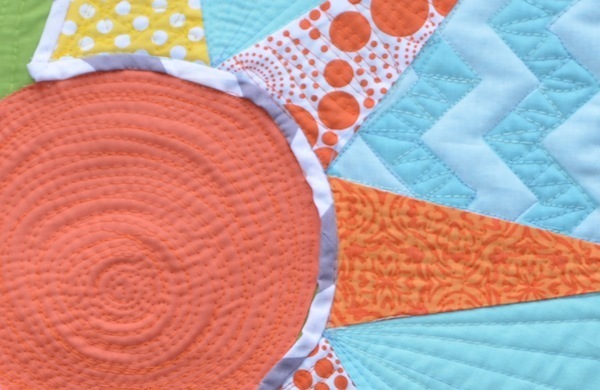 4 hours for that quilting? You rock! 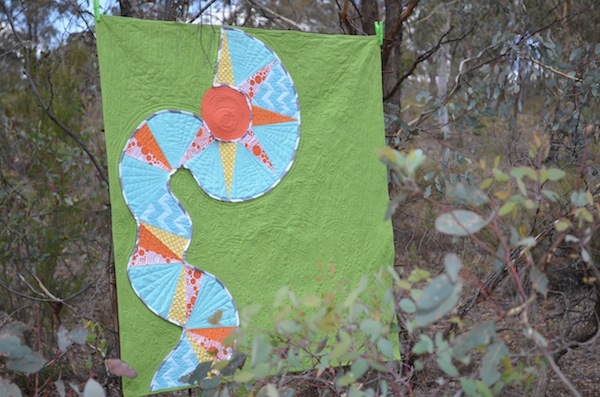 Really like this quilt and the quilting is fabulous ! Beautiful. Thanks for sharing your process on this. Very inspiring.